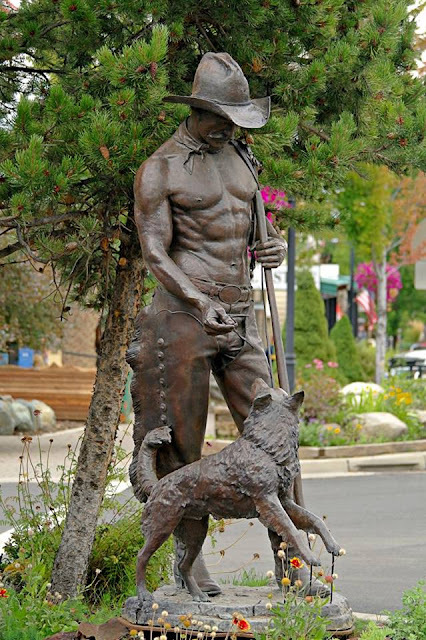 Another view of "Attitude Adjustment", a popular sculpture by artist Austin Barton, that can be found on the main street of Joseph OR. It's probably the most photographed of the sculptures of Joseph. Further down the street is this statue. It pays tribute to the days when a half-naked muscular man with a solid moustache wearing only leather chaps could give his dog a bone without anyone judging him for it.